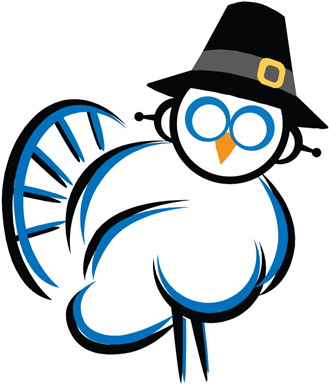 Just Winging It: Thanksgiving with a twist! 1) Cheesy potatoes - 1 bag shredded hash browns, 1 can cream of celery soup, 1 cup sour cream(substitute bacon and cheddar chip dip), 1 cup crushed corn flakes (substitute frosted flakes), and 8 oz. mixed cheese. Mix hash browns, soup, and dip, layer on baking sheet,salt and pepper to taste, and frosted flakes then cheese. bake 375 for 45 minutes. 2) Green bean casserole - 4 cans cut green beans drained, 2 cans cream of mushroom soup, 1 can nacho cheese sauce, 1 cup cooked and crumbled bacon, salt and pepper to taste, 1 small can sliced mushrooms (drained), 1 lg can fried onions. Mix all ingredients except fried onions and place in casserole dish, top with onions and bake 375 for 45 minutes. 3) Instead of biscuits try this: 2 boxes corn muffin mix, 1 egg, 1 can whole kernel corn (drained), 1/2 cup sour cream, Mix well. fill muffins tins 3/4 full and bake at 375 for 20-25 minutes. 4) This one is quick and easy. Instead if pumpkin pie do this - buy individual tart shells, 3 cans of assorted fruit pie filling, 1 tub cool whip. Fill tart shells with assorted pie filling, put cool whip in pastry bag and top the pie filling. Refrigerate until ready to serve. 5) Garlic baked mashed potatoes -peel and cook 8 russet potatoes until done, add salt and pepper to taste, 3 tablespoons garlic powder, 1/2 cup sour cream, 1/4 cup butter, 1/4 cup Parmesan cheese (grated). Mash and place in casserole dish, top with 1/4 cup Parmesan cheese. Bake at 375 for 30 minutes. Notice I kept all baking temperatures the same since most of us only have access to 1 oven. keep watching in days and weeks to come for more delicious ans easy ideas for the holidays. Great tips. Will be glad to see more.